Short video – counting ticks. What is amazing is the vast quantity of tiny ticks that are collected in neighborhoods – not deep in the woods, away from humans and pets, but close to home. 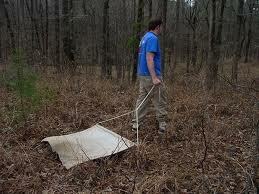 URI Tick Survey Team Collecting Larvae July 2012 – YouTube. This entry was posted in Lyme Disease and tagged collect, ILADS, infection, Lyme, lyme disease, tick, tick drag, tick encounter resource center, Tom Mather, URI, www.tickencounter.org. Bookmark the permalink.